You no doubt know how to copy, move, rename and otherwise manipulate files on your Mac, but with the right power tricks, you can get through all this digital admin much more quickly. 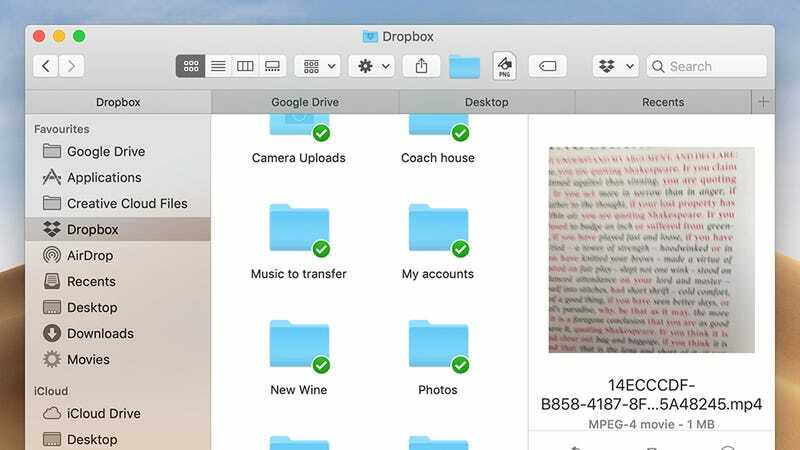 Here’s our pick of the best expert tips for Finder and macOS file management that you might not have come across yet. 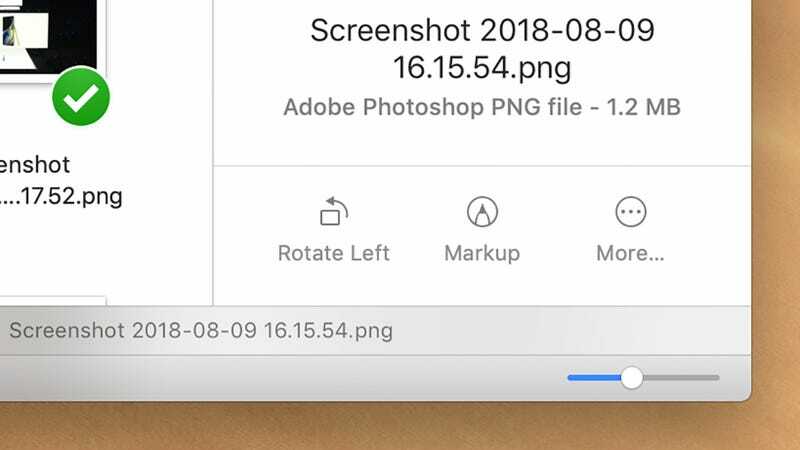 We’ll start with a new macOS Mojave feature (if you’re aren’t using the beta, the final product will be out soon): Pick an image in Finder, and with Preview open (View then Show Preview), you’ll see Rotate left and Markup options on the right, freshly added from the Preview tool. 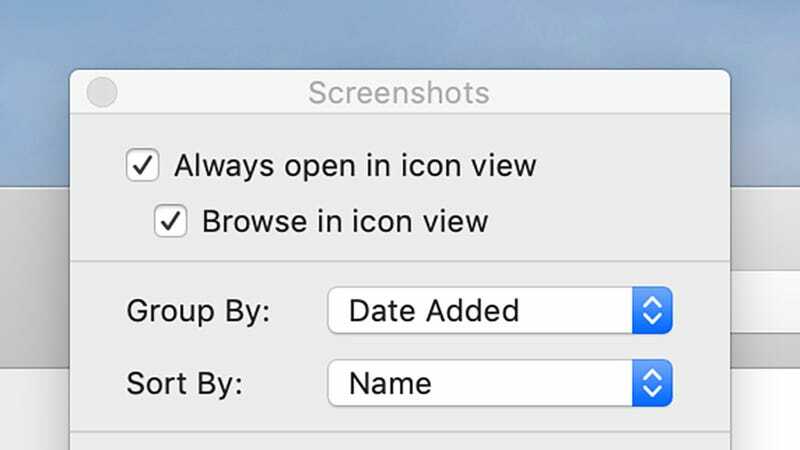 When you open Finder you jump to the Recents pane by default, but if you use another folder more often, you can save yourself a lot of time by changing this: Open the Finder menu, then Preferences, then the General tab to find the option for new Finder windows. Don’t stick to the simple Finder search—click the Plus button underneath the search box after entering a query to access a host of other parameters for narrowing down your results, covering everything from a file’s audio bitrate to when it was last modified. Finder includes support for a ton of shortcuts you should commit to memory. See here for a full list, but some of the best are Cmd+D to duplicate a file, Cmd+I to bring up the Get Info window, and Shift+Cmd+I to go straight to the increasingly important iCloud Drive. You can hit Space for a Quick Look at any image or group of images (the arrow keys let you navigate between them), but you can also hit Option+Space to see a full-screen slideshow of selected images that progresses automatically (or when you hit one of the arrow keys). 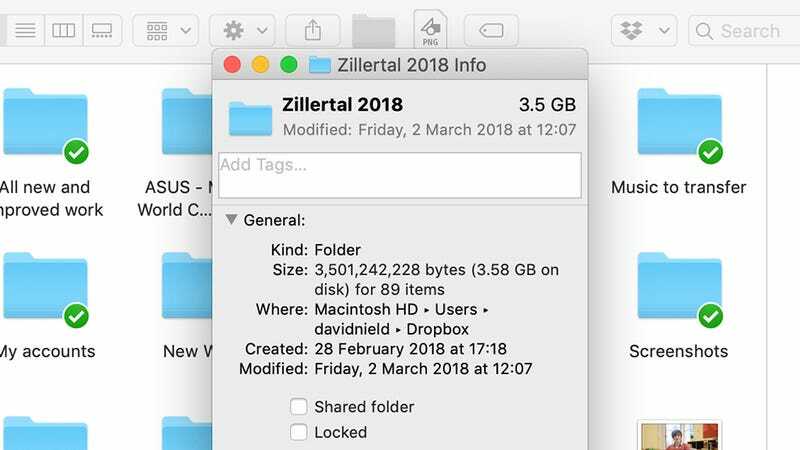 Like Windows, macOS likes to hide certain critical files from users. To show everything, enter “defaults write com.apple.finder AppleShowAllFiles true” into Terminal, followed by “killall Finder”. To hide files again, use the same command but replace “true” with “false”. If you’re not sure where Terminal is this hit Cmd+Space and type Terminal into the window that appears. Anything you can do to get files better arranged on screen has to be worth trying. Click View then Use Groups to show files in groups, then choose View and Group By to choose the group criteria. The same options appear on the toolbar’s Action menu (the cog icon). If you want to make sure a file is definitely gone and doesn’t hit Trash on the way to digital destruction, then select it, hold down the Option key, open up the File menu, and choose Delete Immediately. Just make absolutely sure you’ve got the right file selected first. If you spend a lot of time in a certain folder then you probably have a preference about how it’s set up. To use the current view every time, hit Cmd+J, then tick the Always open box. 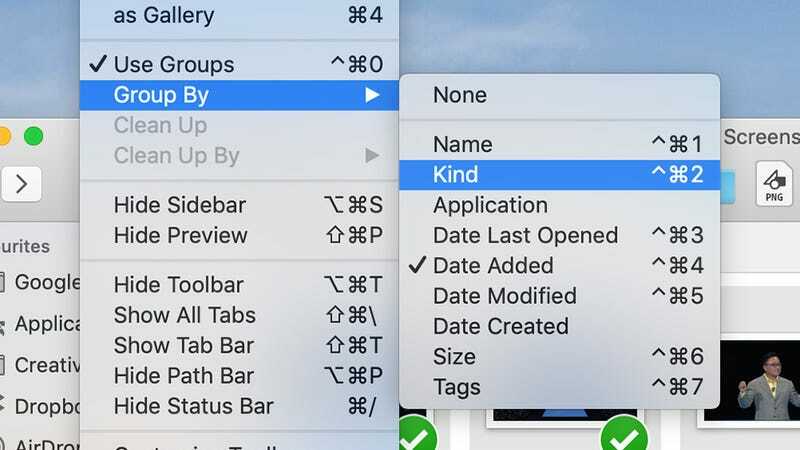 To use the same settings across all folders using this view, click Use as Defaults. The assortment of preferences and settings that make up the Library are hidden from view by default, but you can get at them with another Option key trick: Hold down Option when you open the Go menu and you’ll see a link to the Library has magically been added. 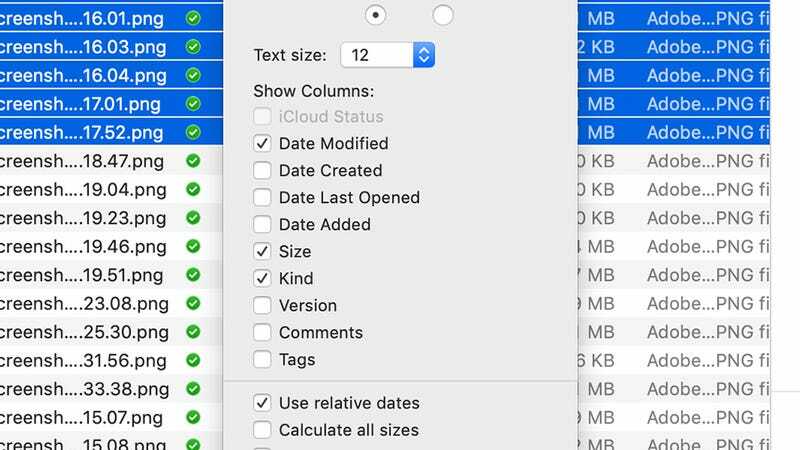 When you’re in the list view in Finder, you can sort files by clicking on the column headings at the top. To give yourself even more options for arranging your files, choose View then Show View Options—the next dialogue lets you add and remove columns as required. The more you can see about your files, the better—from inside a folder set to the icons view, hit Cmd+J to bring up the View Options dialogue, then tick the box marked Show item info. 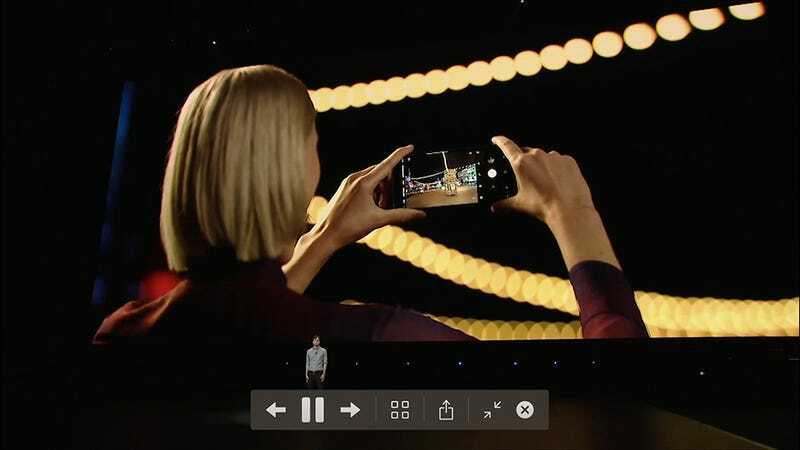 You get more details for each file, including image resolutions and movie lengths. If there’s a special folder you want to stand out from the rest, you can set your own custom image for it: Open an image in Preview, then use Cmd+A to select it and Cmd+C to copy it. In Finder, select the folder icon, hit Cmd+I, then click the current icon and press Cmd+V. Tagging was added back in Mavericks but is still underused: It gives you a really useful way of grouping files across multiple folders. 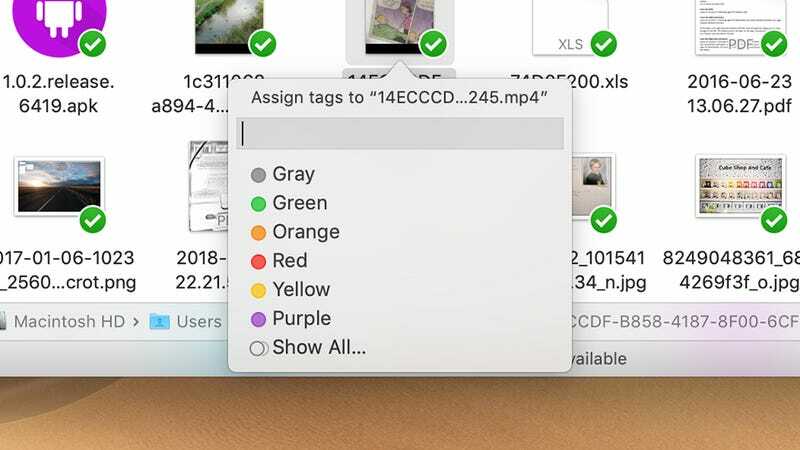 Ctrl+click on a file to assign a tag (the coloured swatches), or choose Tags from the menu to set up your own custom tags for Finder. Smart folders, like tags, are a neat but underused Finder feature—they’re basically search results, constantly updated, in a virtual holding space. To create a new one, choose File and New Smart Folder, and specify your criteria (files edited in the last week for example). 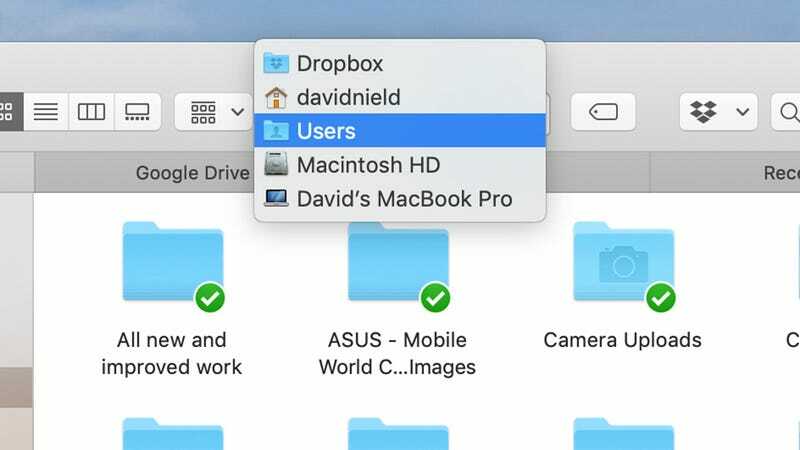 Finder can use tabs, just like your web browser. Choose File then New Tab (or hit Cmd+T) to create a new tab; you can cycle through tabs with Ctrl+Tab, making it simple to jump between different folders, and you can drag files on top of tab headings to move them too. To rename multiple files at once, select them in Finder, click the Action button (the cog icon), then choose Rename. The next dialogue lets you replace old text with new text, append new text, or set up a new naming format that then gets applied to each file in turn. Finder’s columns view is fine, if you can master its layout. Drag the column edges to resize them, or hold down Option while dragging to set them all to the same size simultaneously. You can also double-click on a divider to set the width to fit the largest item in the column. If there are folders you use a lot, drag them to the Finder toolbar—just hold down Cmd and drag the folder up to wherever you want. This works with files and applications too, so it’s another option (besides the Sidebar on the left) for creating quick shortcuts to places. Get a handle on where on your system you are with a Cmd+click on the Finder title bar—you can then see the parent folders of your current location, and jump back to them. Choose View then Show Path Bar to have a folder’s path always on display in Finder. 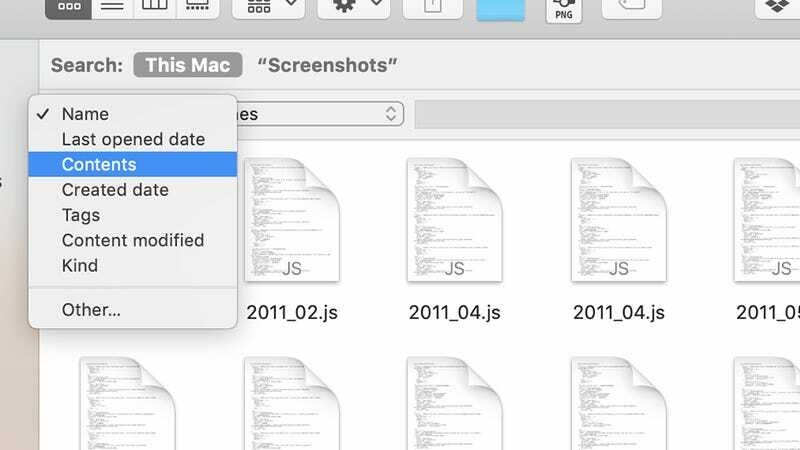 Enable the Finder status bar (View and Show Status Bar) to get two key bits of info on screen at all times—the number of files in the current folder, and the free space left on your Mac. You also get a small slider that makes adjusting thumbnail size much easier.